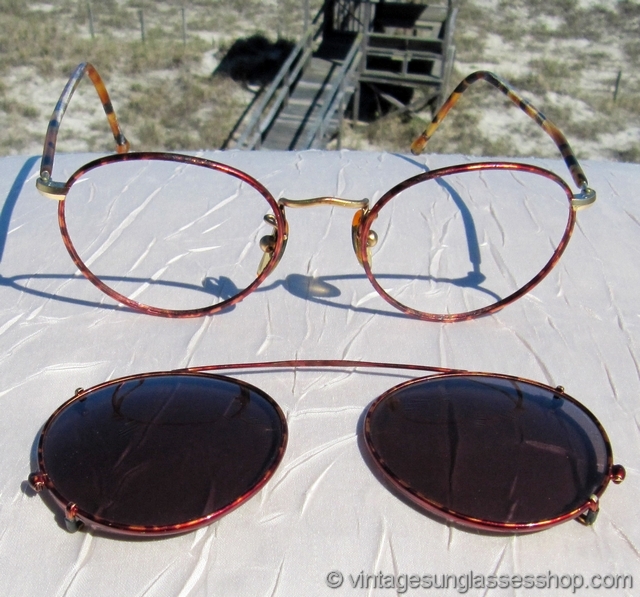 Vintage Giorgio Armani 147 721 sunglasses feature a beautiful red Tortuga tortoise shell front frame with complementary yellow tortoise shell ear stems along with matching red Tortuga clip on sunglasses. 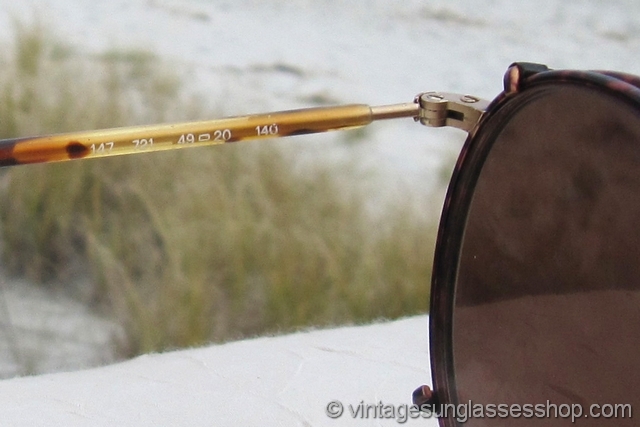 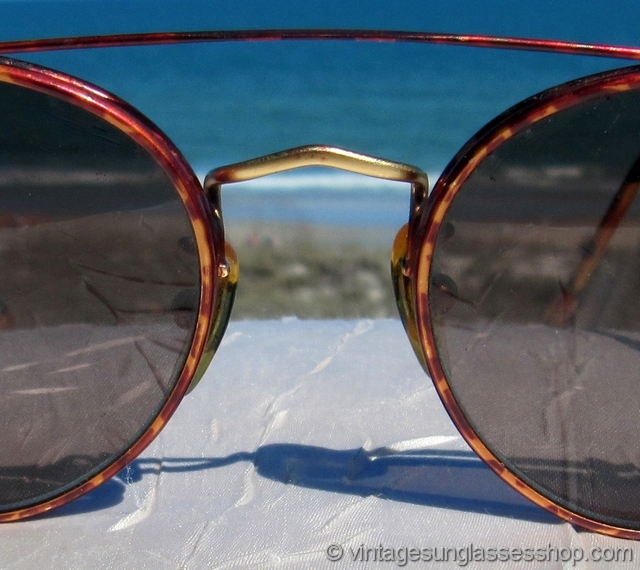 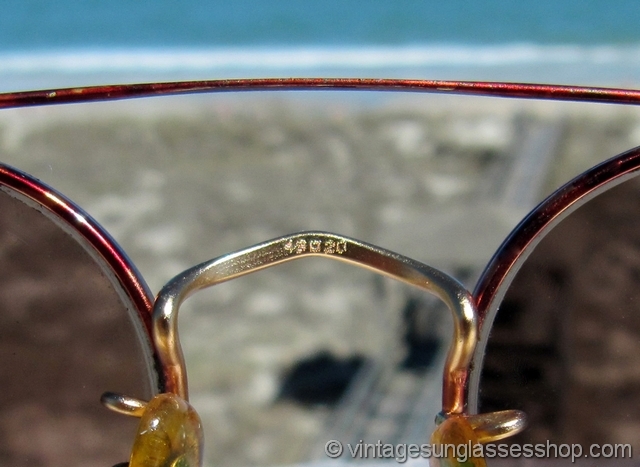 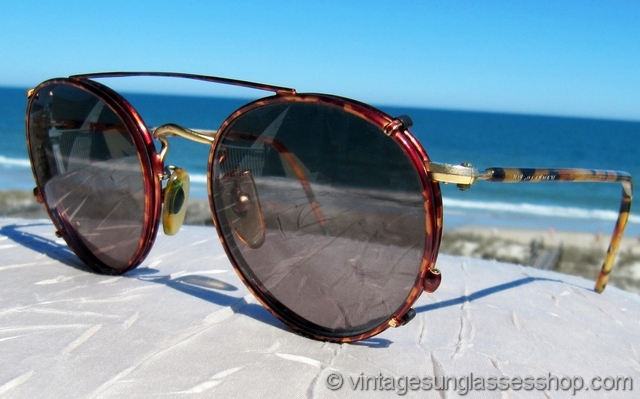 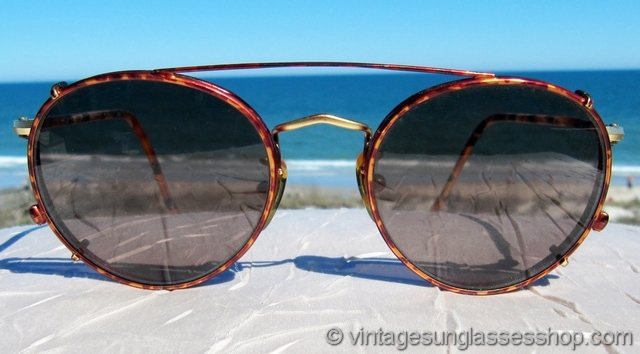 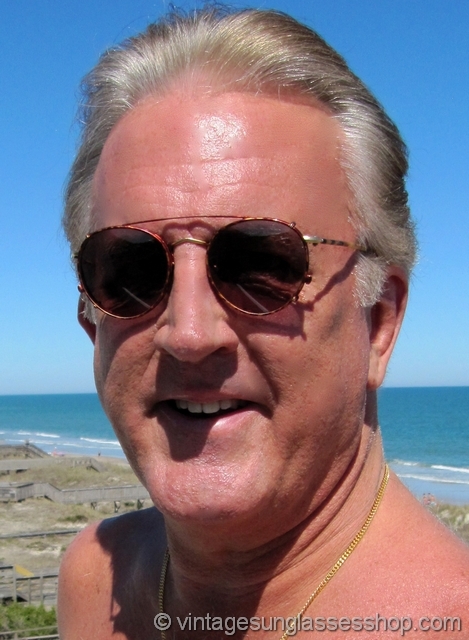 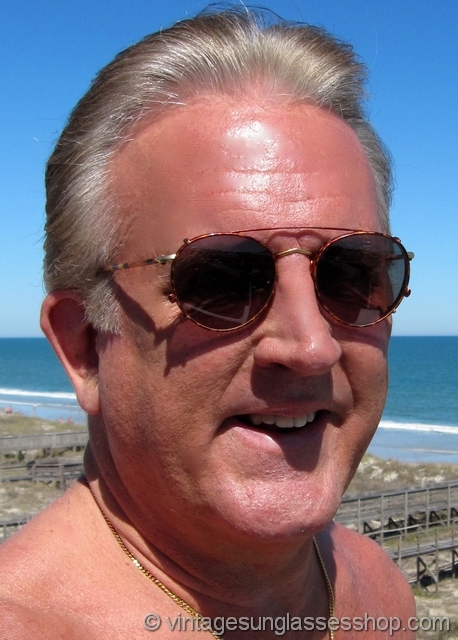 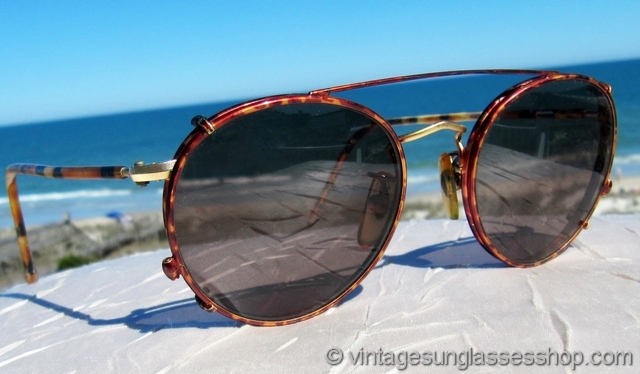 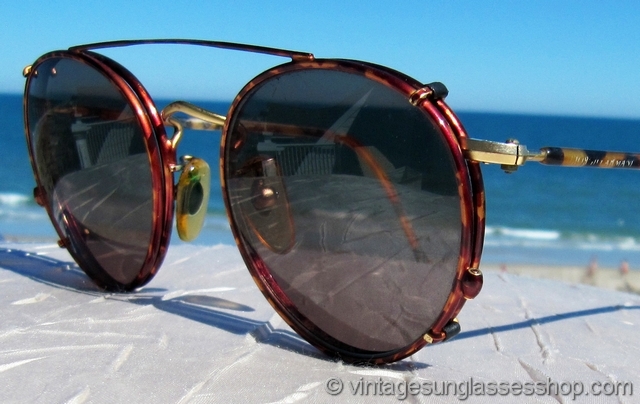 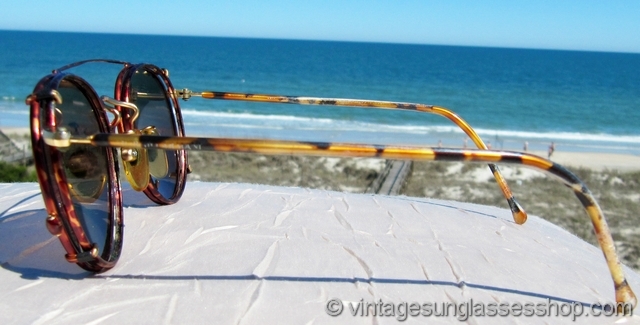 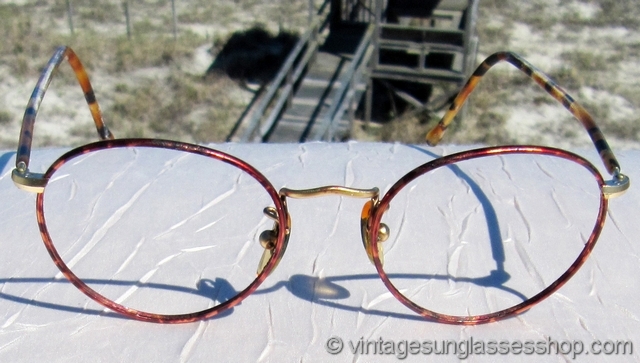 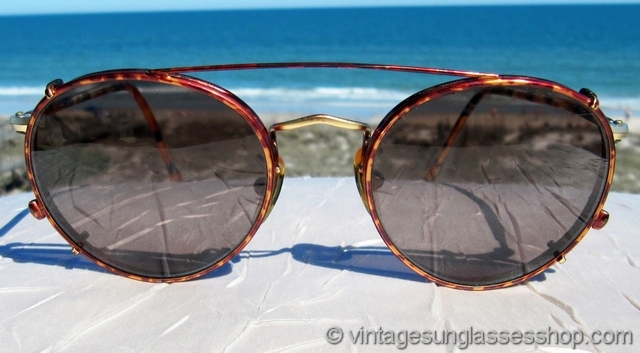 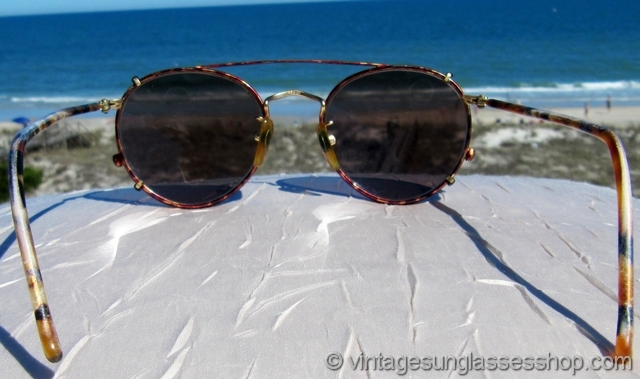 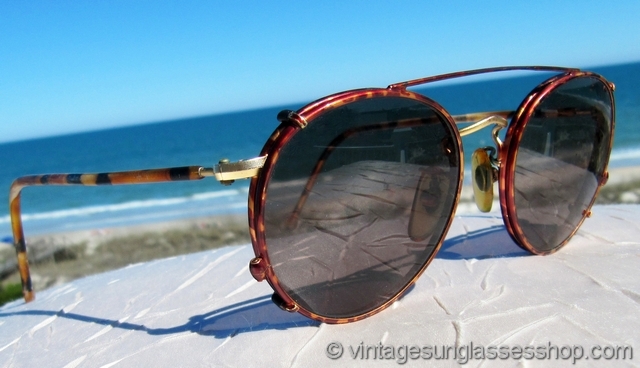 This is a vintage Armani style that was produced in only very small quantities and still highly sought after today, for the stylish frames are great for the RX or non RX lenses of your choice while the matching Tortuga clip ons ensure you look equally if not even more dapper out in the sunlight. 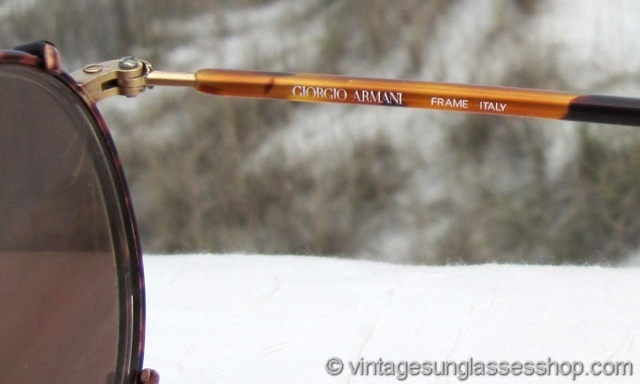 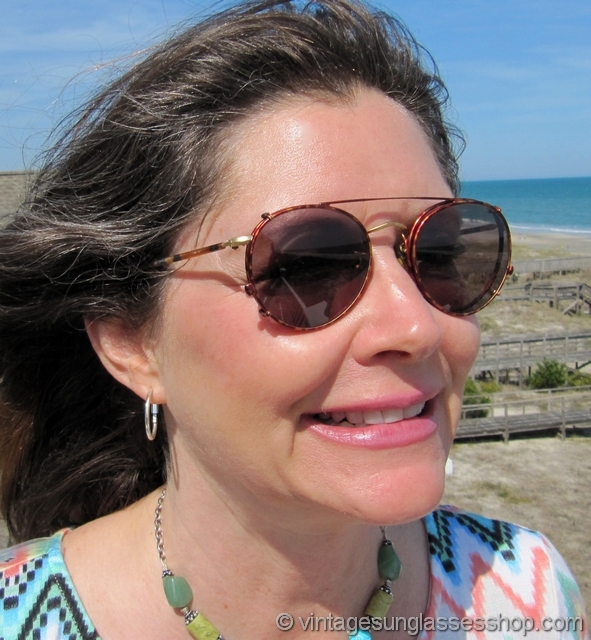 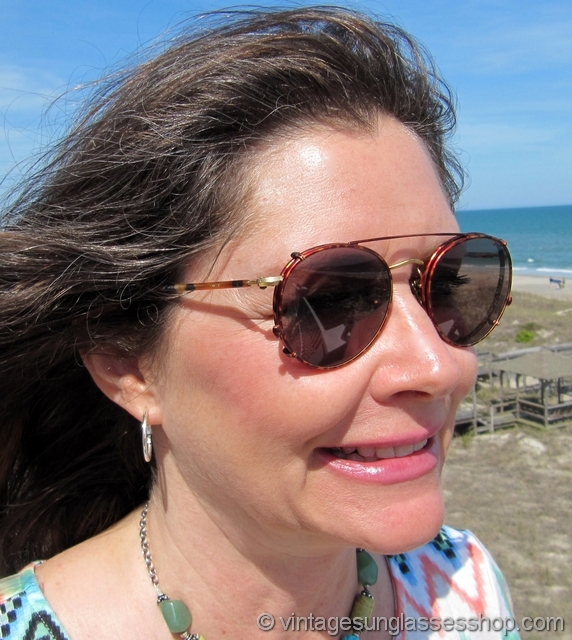 The unisex Armani 147 frame measures approximately 5.0" temple to temple, and each lens is framed in Tortuga tortoise shell and measures approximately 2.0" x 1.75" at the widest points. 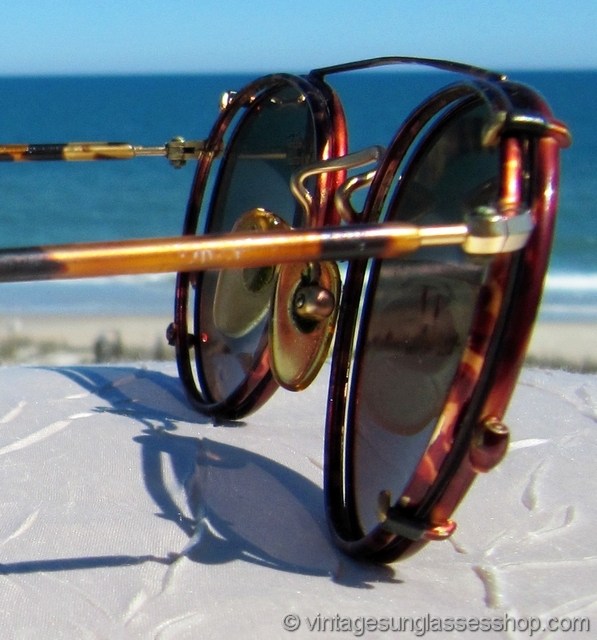 The inside of one ear stem is marked Giorgio Armani Frame Italy, and the inside of the other stem is marked 147 721 49  20 140.